(AUGUST 2011) "Yours, Mine, and Ours" — Read about Sandi Patty's amazing story of the redemptive power of God's love and grace. (NOVEMBER 2012) Jason Crabb and Sandi Patty expand their Christmas tour for 2012 to include a benefit concert in New York to aid victims of Hurricane Sandy's destruction. Five questions for Gene McDonald, nurturing a grateful heart, Jason/Sandi benefit for hurricane victims and more! Sandi Patty heads to Sierra Leone; Five Questions for Ernie Haase; prayers requested for Tracy Stuffle, new SocialCam videos and more. 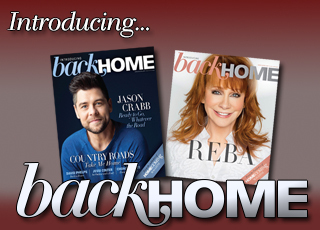 Big news from Sandi Patty, debut of Hopper Brothers 2.0, previewing "Woodlawn," and more! (SEPTEMBER 2015) Beloved vocalist Sandi Patty has announced that she'll soon be heading around the world for her "Forever Grateful: the Farewell Tour." Updates on Joey Feek and Buck Rambo, celebrating Billy Graham, a must-have recipe and more!